Limited Edition pen and ink print from hand-drawn original of The Citadel - Charleston, SC campus. 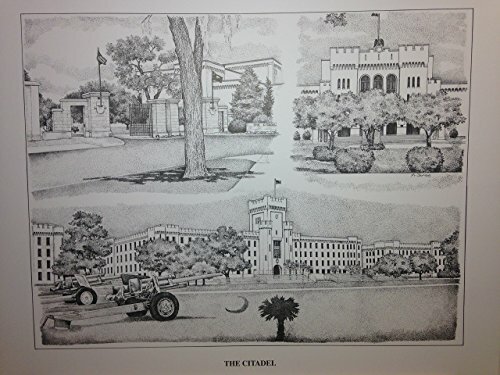 Includes scenes of the Front Gate, Padgett-Thomas Barracks, and Bond Hall, all notable landmarks on Citadel's campus. It is from a series of 250 prints and is signed and numbered. Your purchase includes print, foam-core backing, and about-the-artist flyer within an acid-free packaging. If you have any questions about this product by Campus Scenes, contact us by completing and submitting the form below. If you are looking for a specif part number, please include it with your message.